They will be displayed in the gallery ! 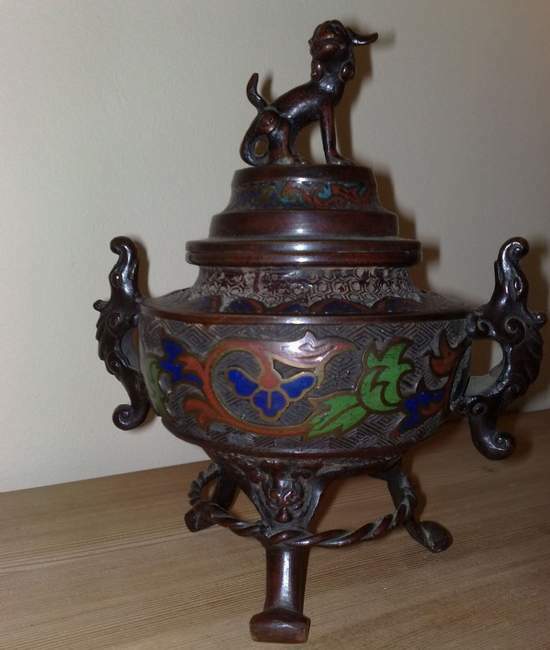 Description: This hand painted incense burner was bought in cairo in 1966. The camels and palms on the globe, and the combination with the globe and crescent itself could be related to the hadj (the Hadj to Mekka is the Muslim pilgrimage). On the bottom of crescent it says (made in Israel) plus hebrew writing on top of that, suggesting that it was painted by an arab artist living in Israel. 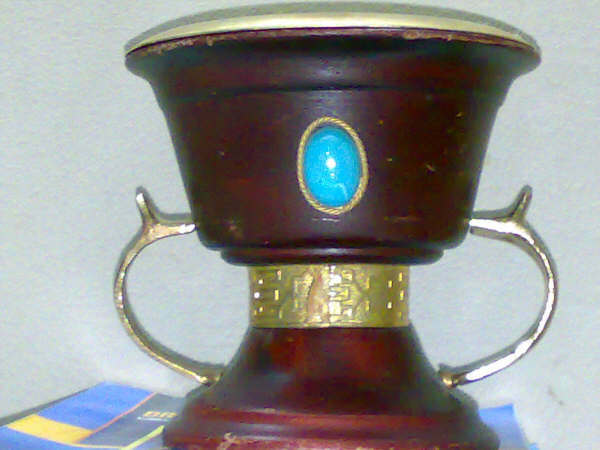 Description: This wooden Burner was in my family for a long time my dad got it from Syria there are few scratch marks on the wood, the chalice itself is decorated with engraved Brass Band, inside the chalice there is Brass Bowl that fits on its Top for the charcoal and a lid. 5 inches in hight (12.5 cm). 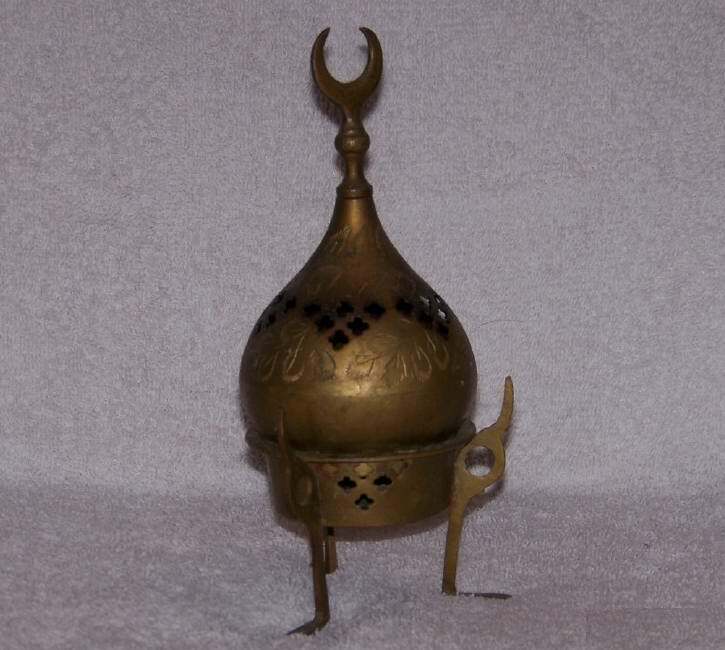 Description: This one is made from light Brass, in a Good condition, decorated with simple Arabic Style Patterns, also contains a bowl and a lid and a Domed shape cover nearly 7 Inches (18 cm) from bottom to the top. 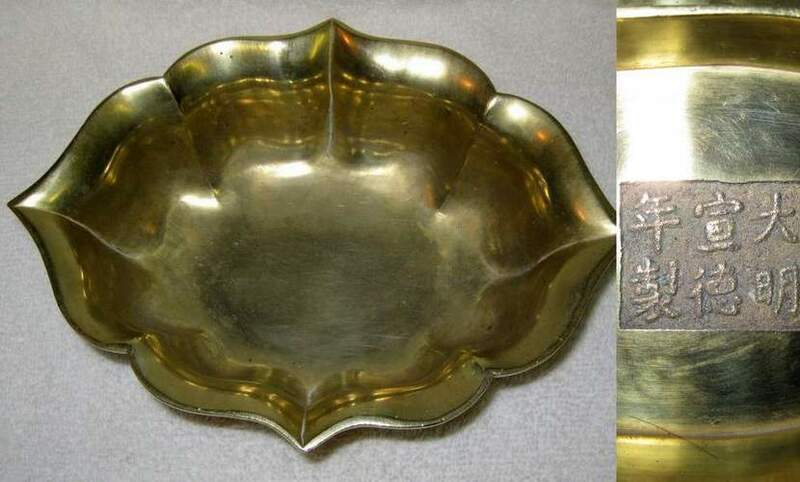 Description: Brass oriental incense burner The bottom is stamped INDIA with little dots spelling it out. 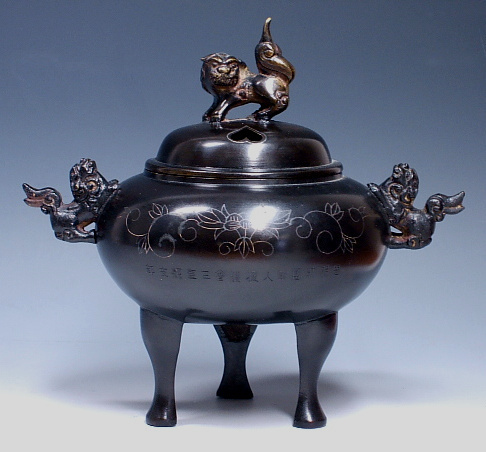 Description: Bronze cloisone 16th century Ming Dynasty Incense Burner. 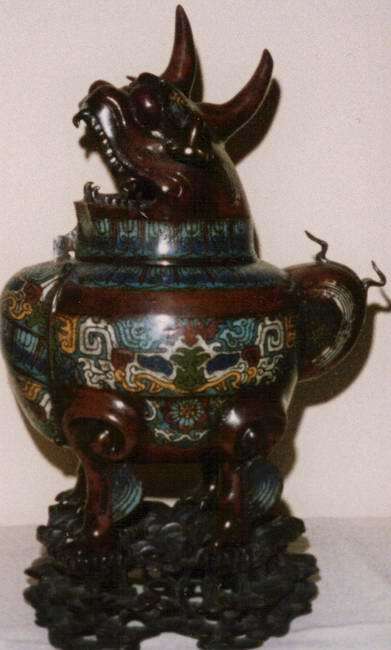 Heigth 15 inches and sits on a 3 inch wood base, The colors Sants ai ware-yellow,purple and green. 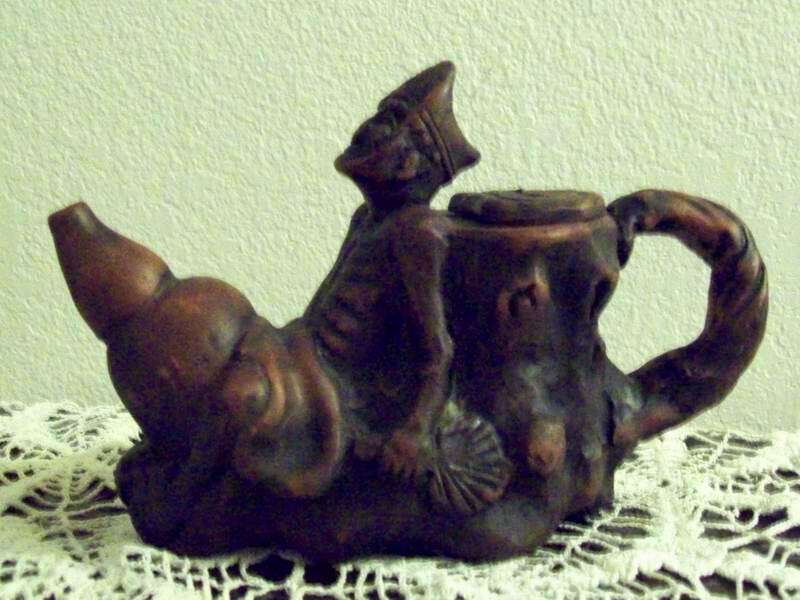 Description: This incense burner has highly decorated lid with various types of animals. 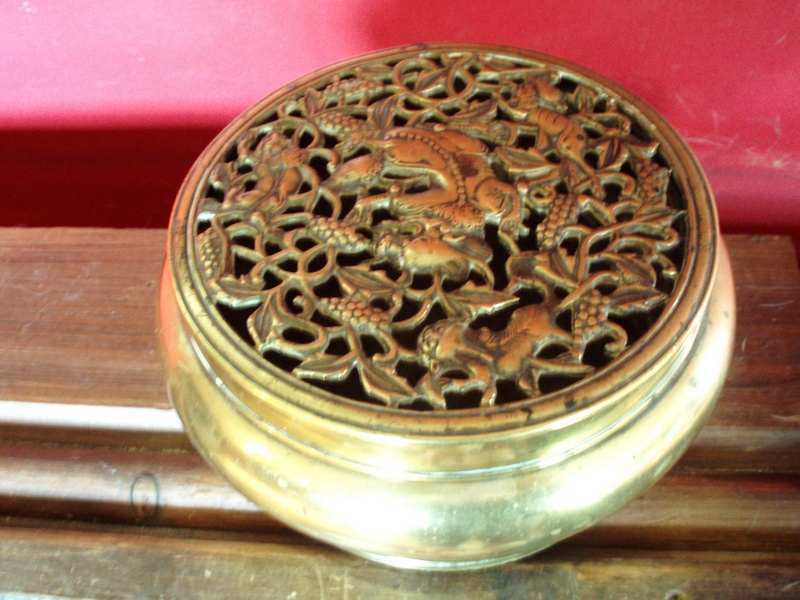 Description: This bronze koro sits on three feet and has komainu for handles on the sides and one on the pierced lid. 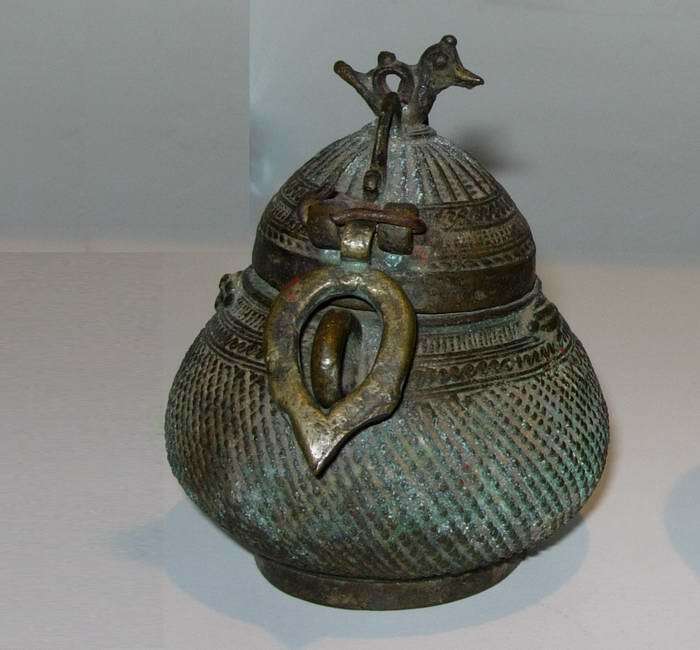 The front and back are decorated with stylized lotus flowers and romanesque vines that look to have been done in pewter, which some has dissipated. 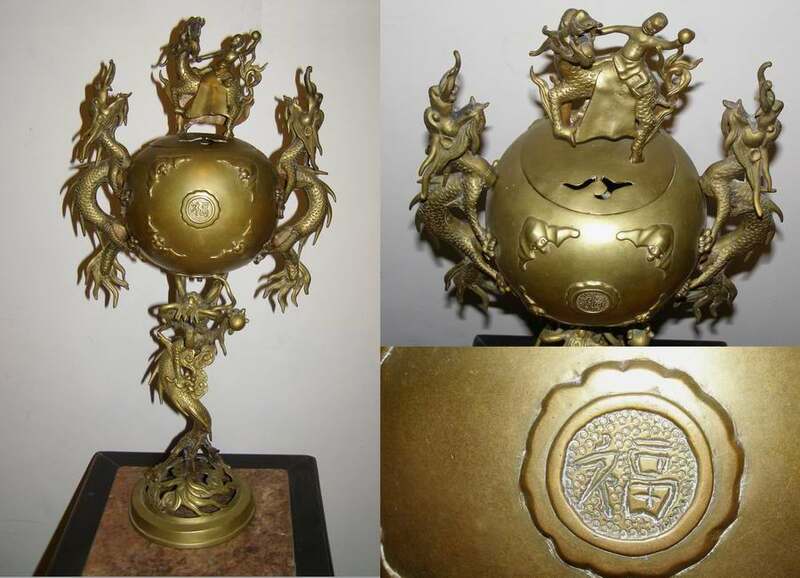 The front of the koro is engraved with ONSHI ZAIDAN GUNJIN ENGOKAI MIEKEN SHIBU (Imperial Gift Foundation Soldier Support Association Mie Prefecture Chapter). The association helped wounded soldiers, veterans and families of deceased soldiers. It measures approx. 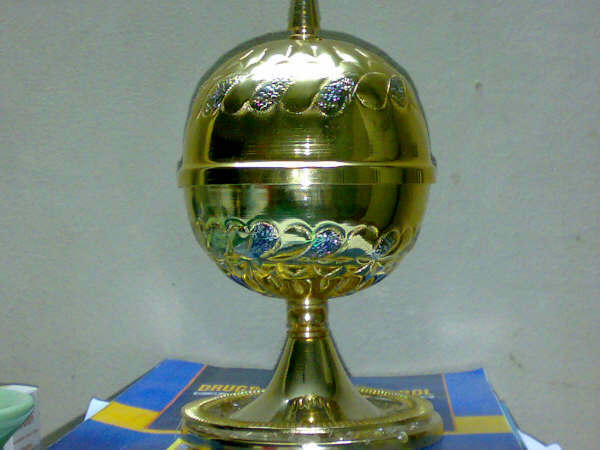 14.5 cm (5-5/8 inches) tall and weighs 556 grams. 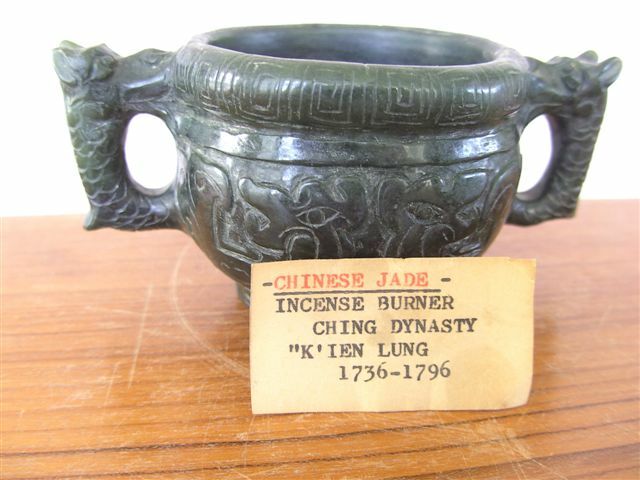 Description: Chinese green jade incense burner, from the Ching dynasty. 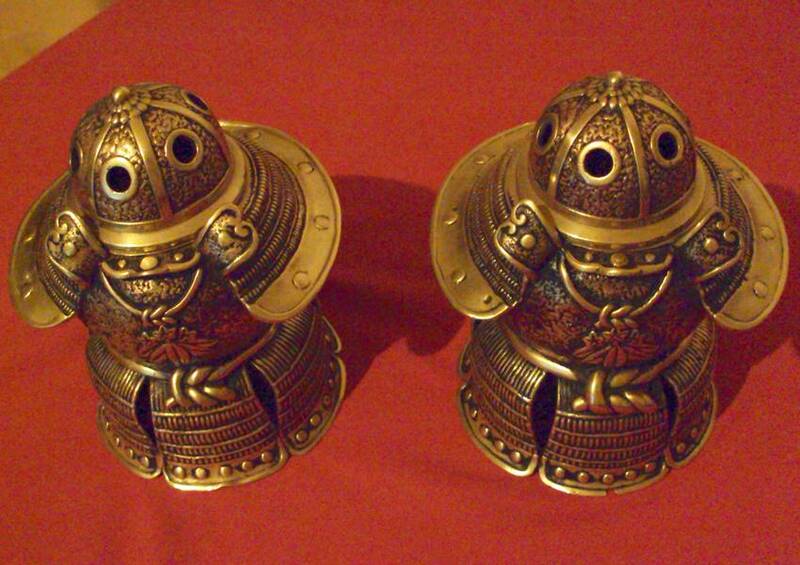 Description: Two Samurai helmet incense burners. The dome at the top of the helmet is detachable, the helmets have holes in the dome. 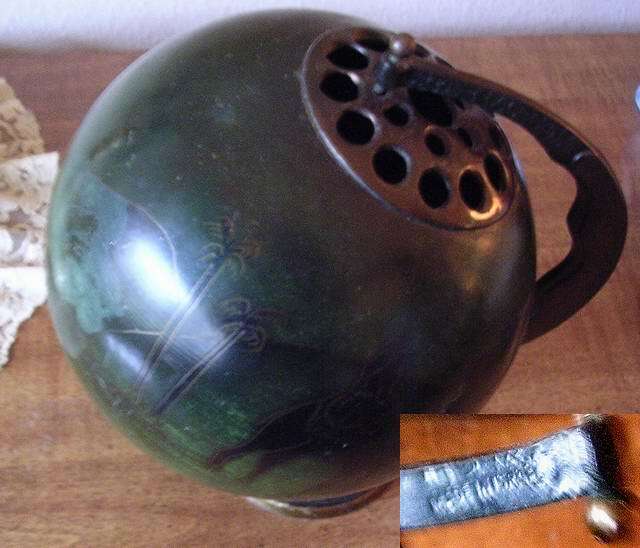 Description: Japanese incense burner, from the late 19th century, enamel and bronze. 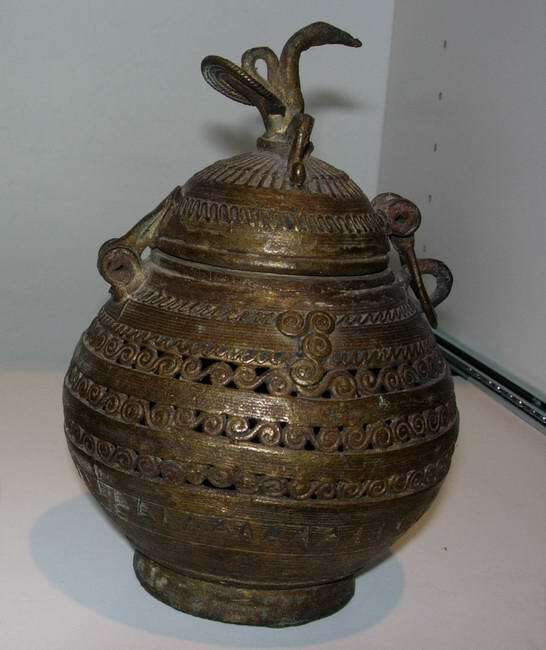 incense burners used in temples are from various origin (antique or made by the village blacksmith).